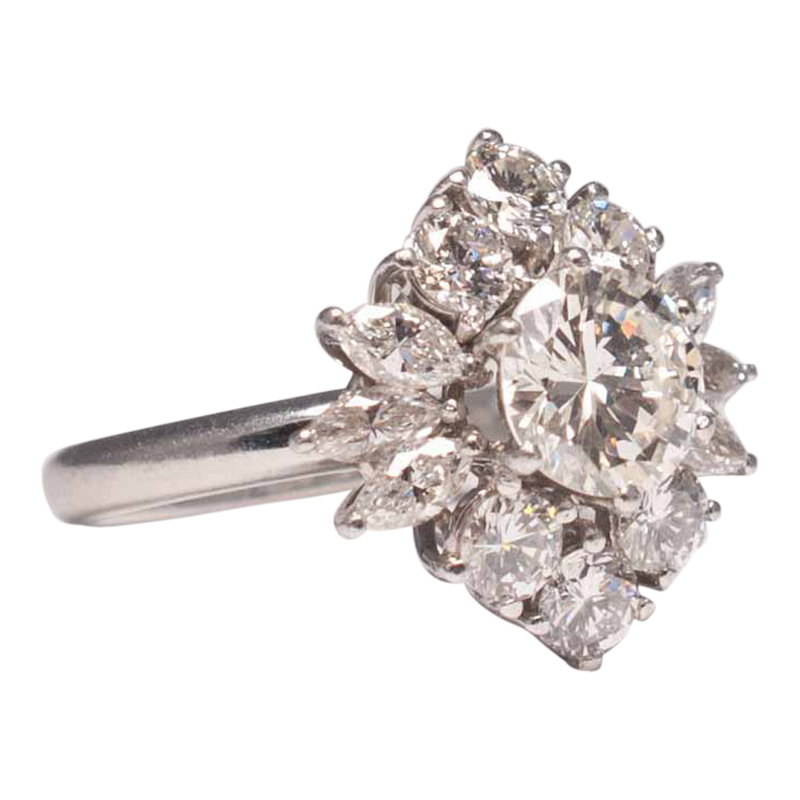 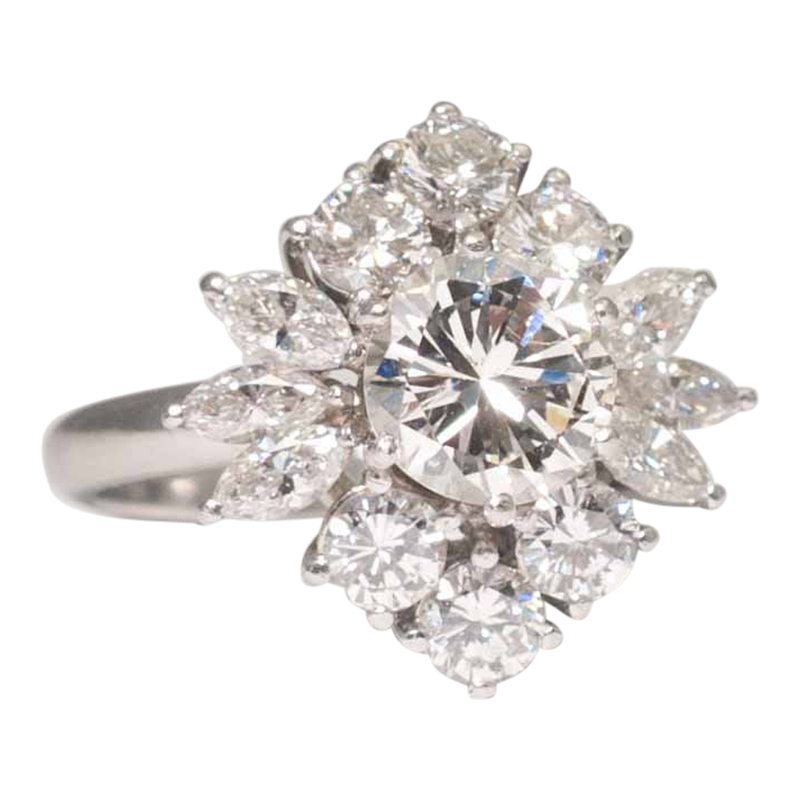 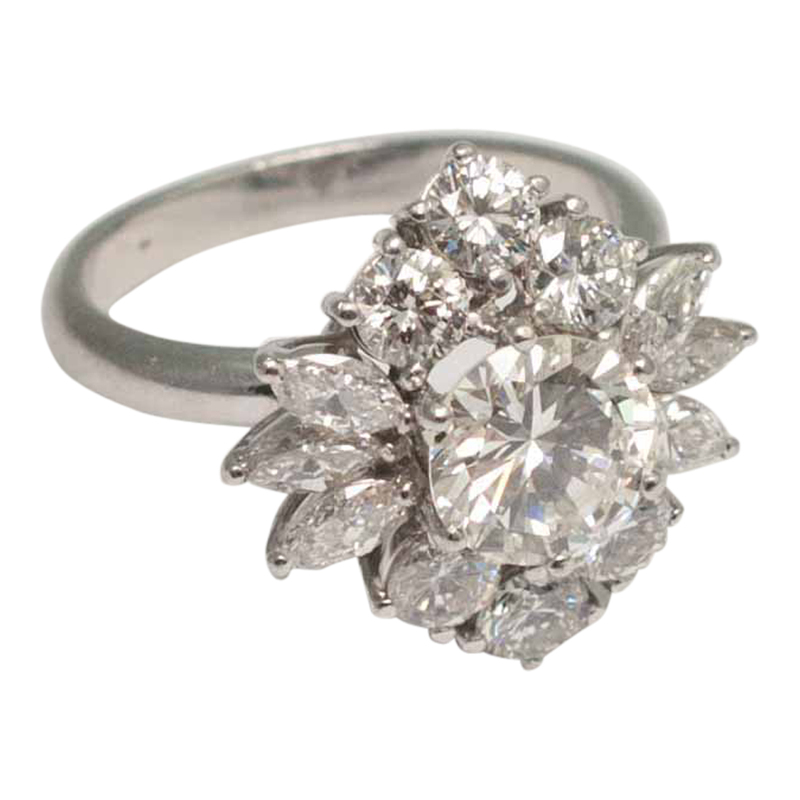 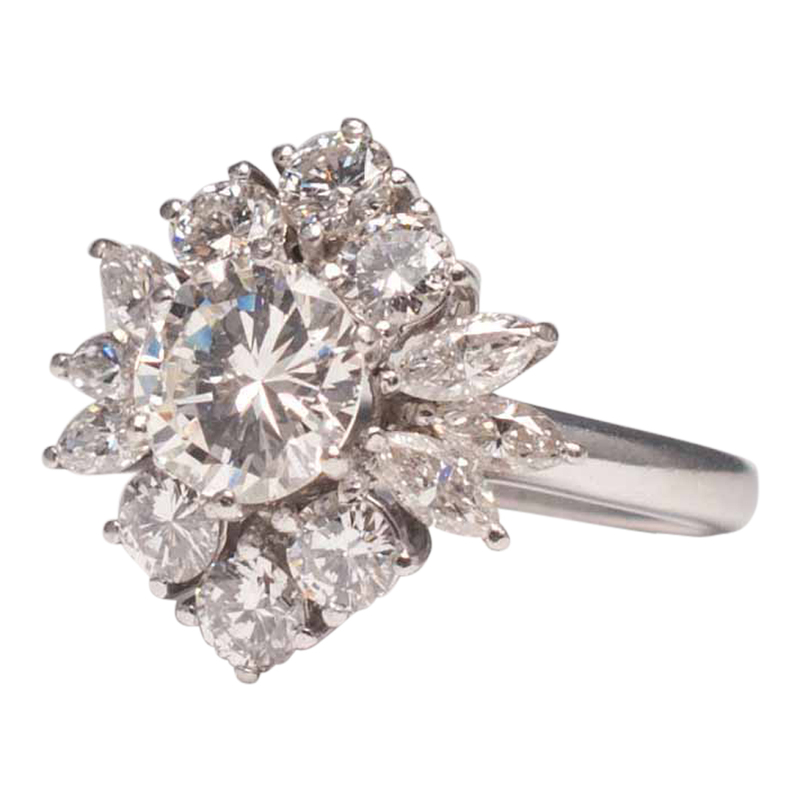 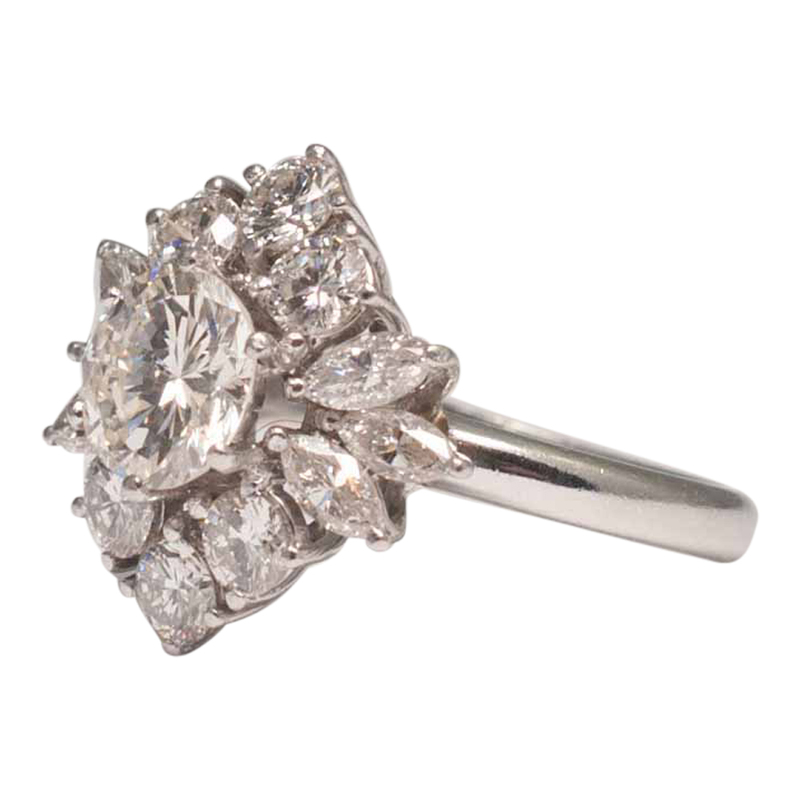 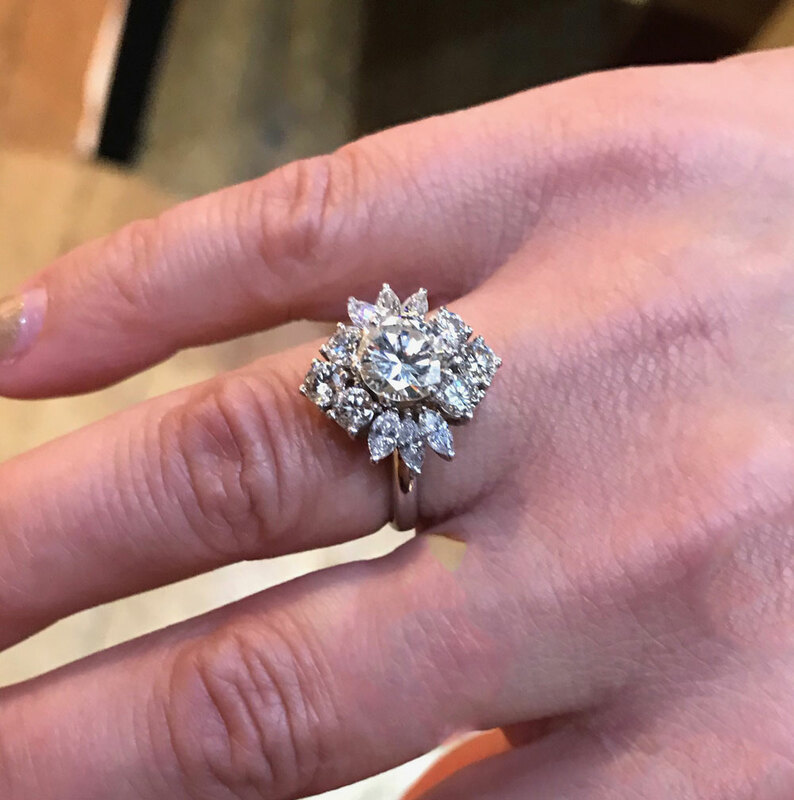 Dramatic diamond cluster ring; this beauty makes a real statement and is set with a central brilliant cut diamond weighing 1.40ct which is surrounded by brilliant cut and marquise diamonds totalling 1.60ct. 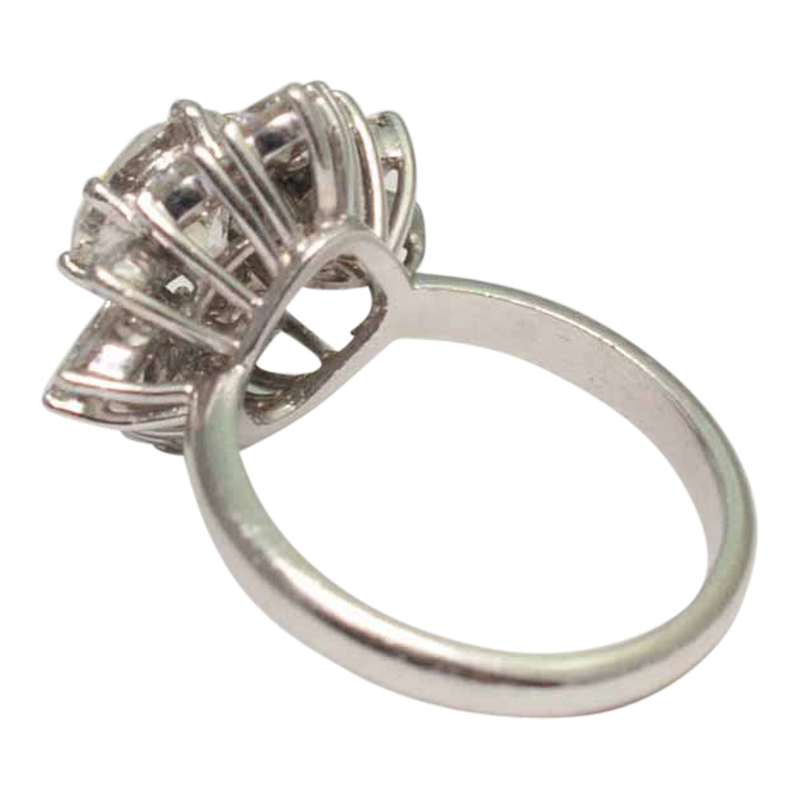 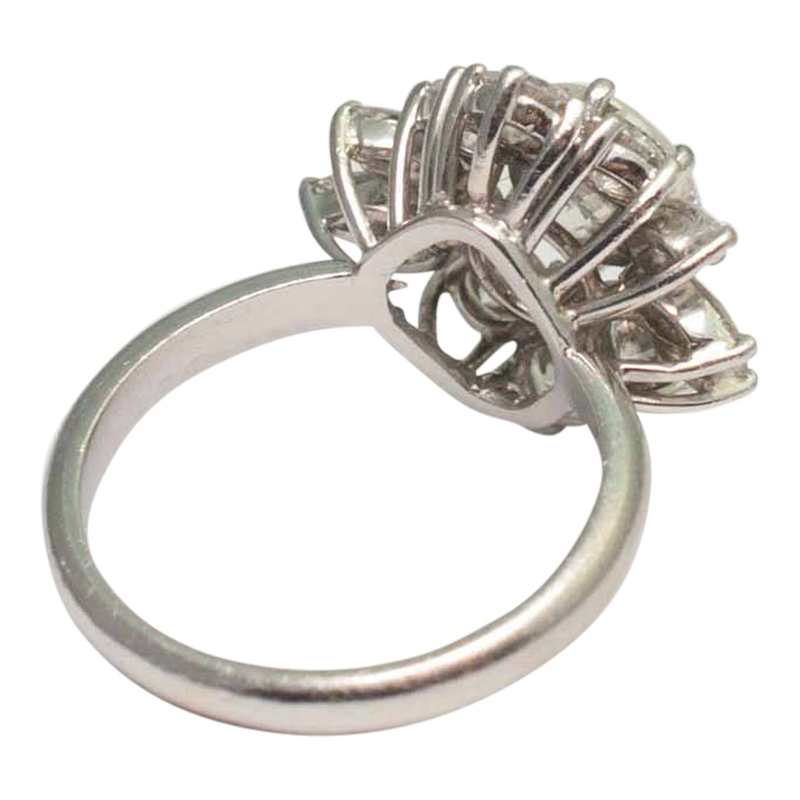 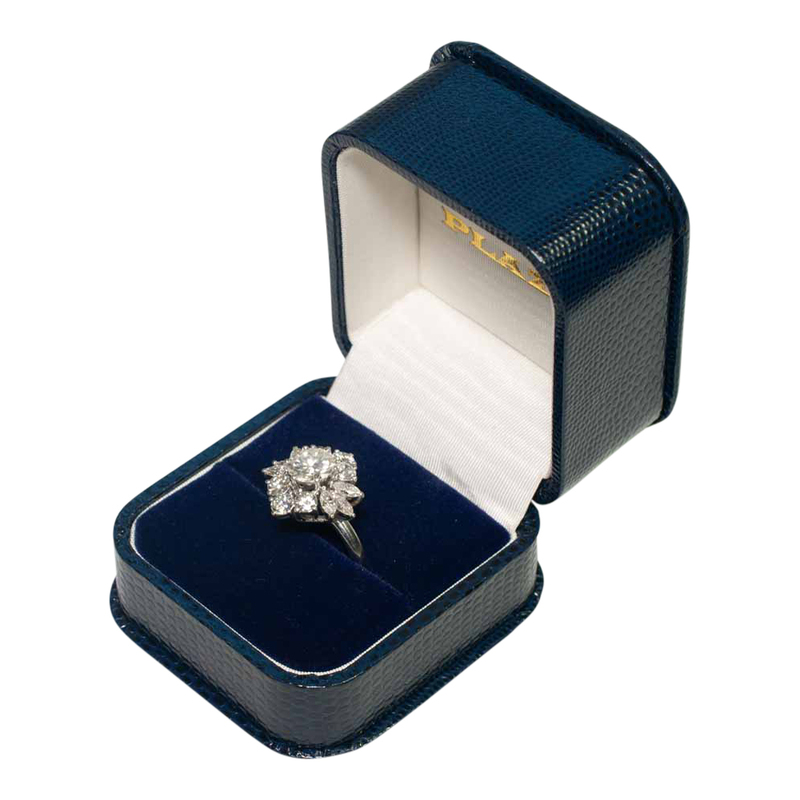 The ring is mounted in platinum on a wirework basket frame and is stamped Plat. 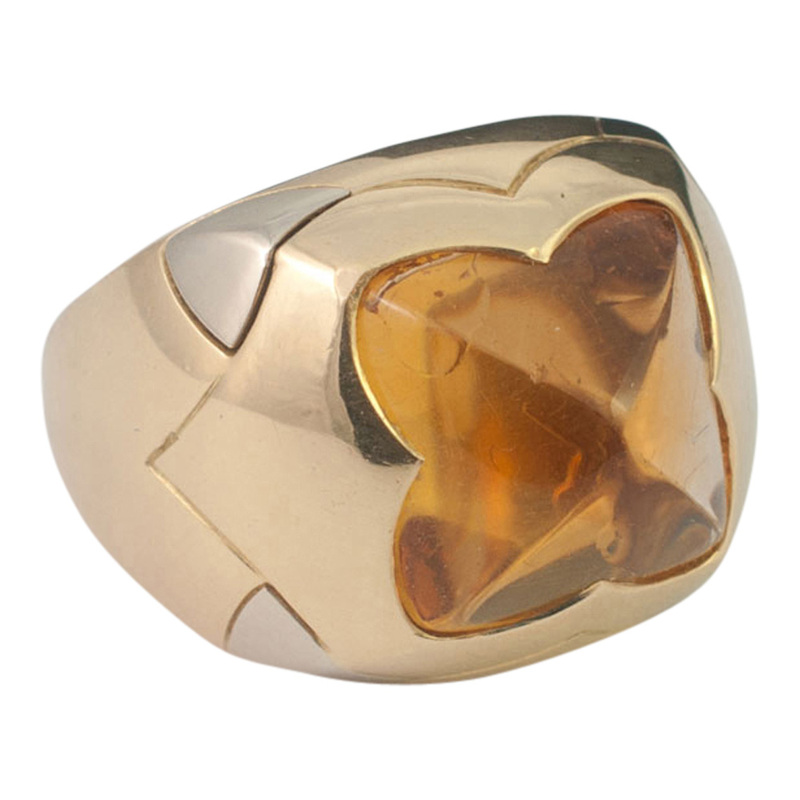 Weight 7.2gms; measurements, width 17.5mm x depth 17.3mm. 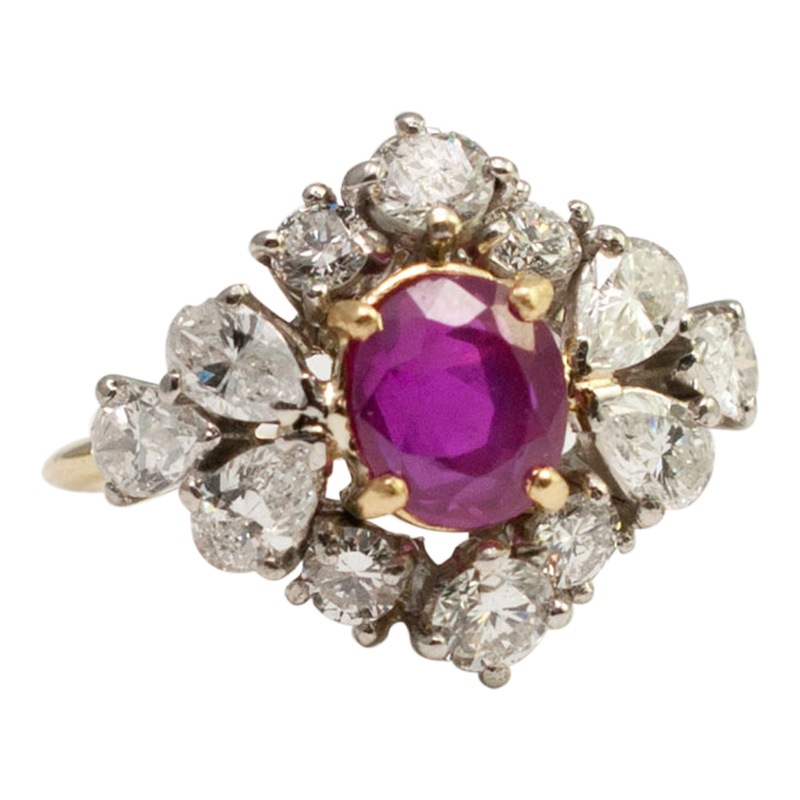 It dates from the mid 1950s and is in excellent condition. 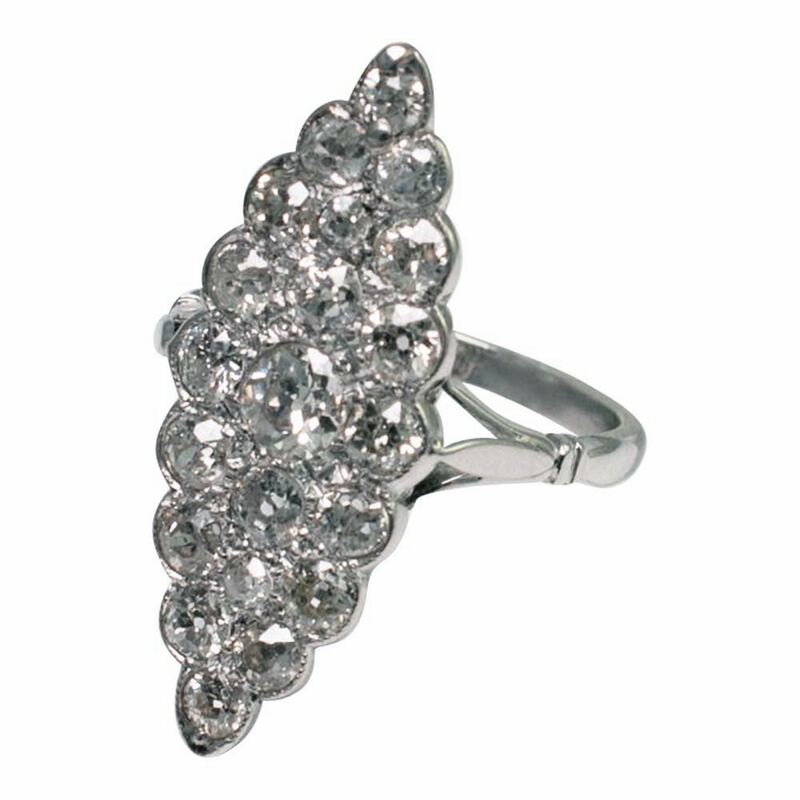 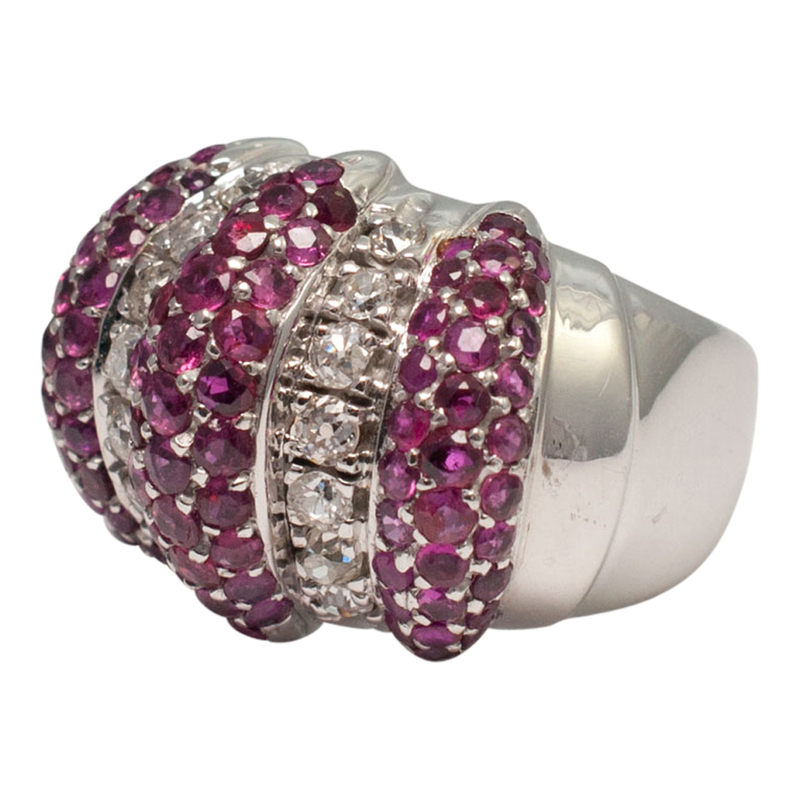 Finger size L1/2 (UK), 6 (US), 51 (EU) which we can re-size for you if required.